Last week my goal was to budget for those Poetic License shoes, that was a short term goal for a consumable product. It was a desire, a nice to have. I have many financial goals… so do you. In fact, on average we all have anywhere from 20-50 financial goals, we just don’t tend to think of them in this way. When you are working to create a financial plan, it is not only important to understand where you are starting from, with tools like a Personal Budget and the GrowthZone Net Worth Statement. It is also important to understand where you are going, or even better – where you would like to be going. And that is why the next step in the Financial Plan is to get a handle on your Financial Goals. We all approach financial goals with different attitudes. Some more reserved and targeted, others more spontaneous and free spirited. I believe in finding a balance. It is important to save for retirement, it is also important to enjoy life and have fun. So how do you find the balance between all of these attitudes? Plan. Is it possible to plan and be spontaneous? Absolutely. Include in your budget room for those impulse purchases or spontaneous adventures, being spontaneous doesn’t have to be expensive. With this week’s Financial Goals worksheet, you will be encouraged to think about “ALL” of your financial goals. Even the ones that are little sparks in the corner of your mind, you maybe haven’t even told anyone about them yet, but they linger there, waiting for the oxygen to ignite into a flame. Write it all down, and from there, categorize them for yourself into short, mid, and long-term goals. Spend some time with this, really think about it. This isn’t just about retirement, purchasing a house, or a new car. Maybe you have a dream to start a new business, to travel the world, to do missionary work in Africa. Whatever goals linger in your mind, get them out onto the Financial Goals worksheet. Depending on your circumstances your goals are going to be different than your neighbor, best friend, or sibling. They are yours. And next week we are going to discuss how to create a plan to achieve those goals. 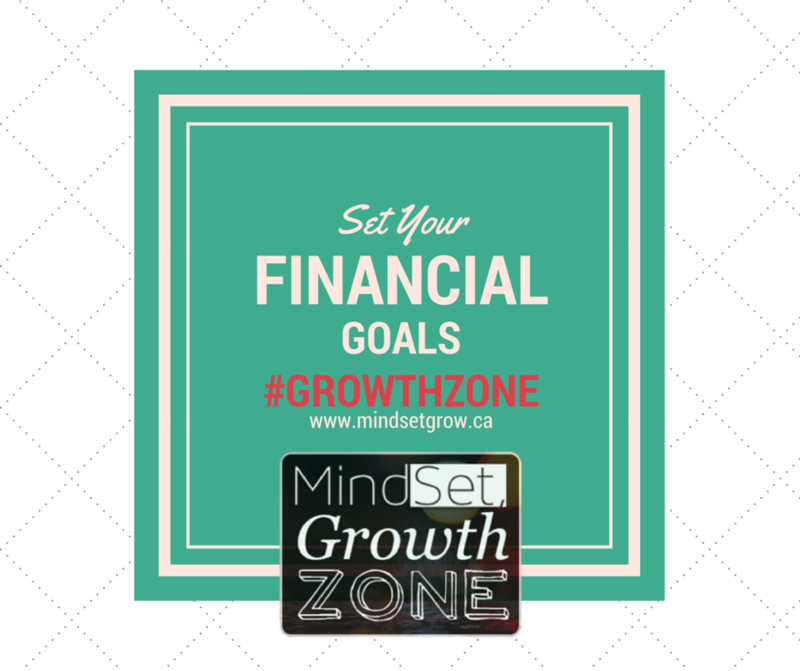 Hey, have you signed up for the Mind Set #GrowthZone yet? No! Why not? Come join us for more great tips and topics to support your personal and professional growth!